** B.Ed., with an intake of 100 students per year. 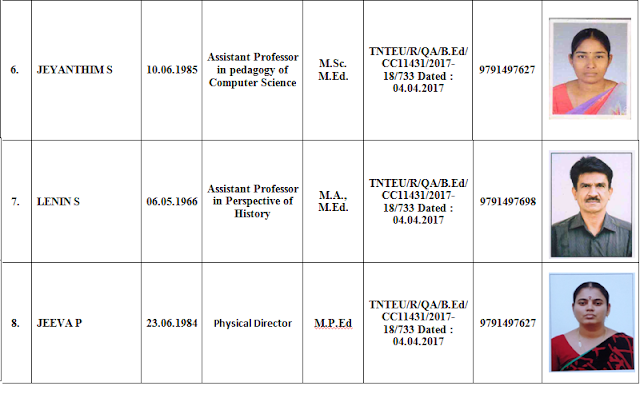 ** Duration of B.Ed.course is two years. 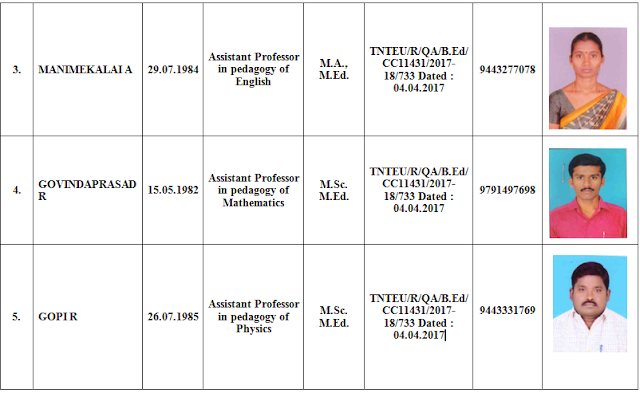 The following optional subjects are offered in B.Ed. Course. The college endeavors to develop the personality of students through fine arts. It provides opportunities for the student teachers to exhibit their talents by conducting competitions at the college level. Competitions in Music (solo and group), Dance (Solo and Group), Rangoli, Essay writing, Innovative Teaching, Model Making and Mime are conducted. B.Ed students take active part in it. Modern language laboratory to foster communication skill. Well equipped psychology laboratory with all psychometric equipments. Sophisticated Computer lab with internet facilities.